When Is A Locksmith Required? Dating back more than 4000 years, the art of locksmithing has been passed down for centuries. Only a phone call away when you’ve had a lock-related mishap, locksmiths specialise in repairing, replacing and installing all types of locks. If you are stuck in a situation where you find yourself asking “Do I need a locksmith?”, read through the following steps. Normally, in a moment of panic or stress, you may find yourself completely overreacting to a situation. Therefore, the best thing to do is to take a few deep breaths, gather your thoughts and then decide whether you truly need a locksmith. An example of this would be, if you have found yourself locked out of the house, before getting straight on the phone to a locksmith, you should check to see if there are other entry points available, eg. an open window. 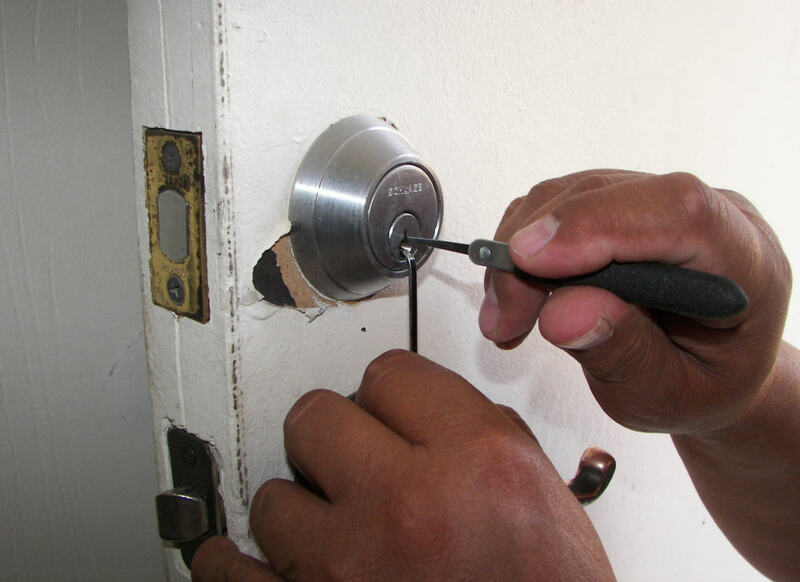 Once you are certain that there are no other solutions, now is the time to call a locksmith. With the majority of locksmiths charging a call-out fee, which can increase if it’s an emergency call-out, it’s important to evaluate how urgent the situation is. If you have potentially snapped your key in the shed door, this isn’t as crucial as locking yourself outside of the house at 3am. So, it’s important to weigh-up the urgency of your situation before calling out a locksmith, as this could potentially save you a lot of money. The next step is to look for a reputable locksmith near you. One of the most vital aspects of this process is to ensure you communicate clearly what the issue is with your lock. Whether the key is jammed, the lock has been damaged or you are just locked out, communication is key. This will ensure that the locksmith is fully prepared for the job at hand and everything goes as smoothly as possible. In summary, a locksmith will be required whenever a serious incident that involves locks/keys arises. However, assessing the situation as to whether you require an urgent call-out or if it can wait until the next day is essential. You should only use a locksmith if there appears to be no other solution available. If you are based in Derby, Burton and surrounding areas, contact Access Locks to arrange your free callout, with rapid 1-hour response times.